As we get ever closer to the releases of various Android vendor’s newest generation devices, Qualcomm continues its tradition of showcasing the performance of its newest generation SoC ahead of time, giving us a preview and a glimpse of what to expect of the upcoming commercial devices. This year, the company has shuffled the schedule around a bit, and instead of hosting the event at their San Diego headquarters, and we were able to get a hands-on with the Snapdragon 855 at CES before the show had started. Today we’re be looking in quite extensive detail on how exactly the new Snapdragon chipset performs, as well as shedding some light on some important unanswered technical questions on some aspects of the SoC. For anyone who might have missed it, if there’s any one specific article that I would recommend reading before heading in directly to the results of the benchmarking session, then it’s our in-depth piece summarising the disclosed specifications of the new Snapdragon 855. Summarising the Snapdragon 855 quickly, at the heart of the new 7nm chipset we find four new Kryo 485 CPUs based on Arm’s new Cortex A76 cores. The new CPU cores are derivatives of the designs Arm makes available by default: Here Qualcomm takes advantage of the “Built on Arm Cortex Technology” license which allows vendors to demand changes to the IP based on a set of microarchitectural tuneables that Arm makes available. Even though the Snapdragon 855’s Kryo 485 is the third generation of such a derivative core from Qualcomm, it represents the first instance of the company actually talking about what kind of microarchitectural changes have been made to the CPUs. The Kryo 485 Cortex A76 derivatives increase the re-order buffer from Arm’s default 128 entries to a higher, undisclosed figure. Qualcomm has also revealed that the prefetchers have been optimised for better efficiency, although again we don’t have any details on how exactly this has been achieved. Finally, as I’ve understood it, the branch data structures have also seen an improvement over the default A76 configuration. Although the SoC still comes in a “4+4” big.LITTLE high-level core configuration, the big cores in the S855 aren’t actually all equal: Here Qualcomm has gone for a rather exotic 1+3+4 configuration, in which one of the big cores is implemented with a higher frequency physical design reaching 2857MHz, all while also employing a larger L2 cache of 512KB. The remaining three big cores max out at 2439MHz and are only equipped with 256KB L2 caches. Qualcomm does clock this 1+3 configuration differently with asynchronous clock planes, however the cores still share the same voltage plane. Here the company explains that this is a compromise between power efficiency benefits, and cost of implementation complexity as well as supporting power delivery components (Adding an extra voltage plane adds another PMIC rail with inductors & capacitors). The Kryo 485 in the S855 promises to be Qualcomm’s biggest performance jump ever, advertising a 45% jump in performance compared to the Snapdragon 845. 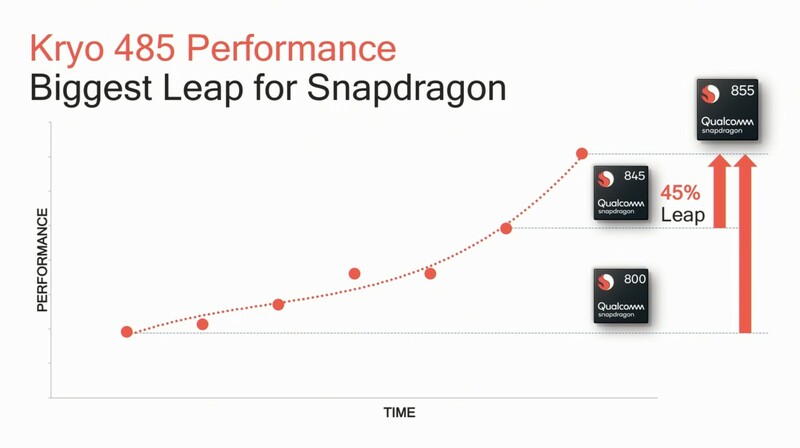 As we had discussed it in our launch article, this figure seems to coincide with the performance jump the Kirin 980 saw over the Snapdragon 845, which makes sense given that the two new SoCs both employ the newest generation A76 CPU at similar clocks. Today’s testing platform is Qualcomm’s new Snapdragon 855 QRD (Qualcomm Reference Design). This year’s QRD design is probably Qualcomm’s most “commercial-device-like” ever as other than the more robustly built bezels, you would have a hard time noticing that this a reference platform – at least on the hardware side. The company stated that the QRD as tested should be a near representation of what to expect of commercial device – but of course vendors might still diverge from this as they may change the underlying software. We’ve had a limited hands-on time with the devices, and although we managed to do a lot with them, some of the more time-intensive testing such as GPU sustained performance testing were out of the scope of today’s session. One of the more odd developments that Qualcomm introduced with the Snapdragon 845 last year was the addition of a new 3MB system level cache that sits in front of the memory controllers as a new cache hierarchy. This new block is meant to serve as a SoC-wide buffer for the various IP blocks, reducing the amount of expensive DRAM memory accesses and thus improving power efficiency of the system. As well as improving power efficiency, it could in theory also serve as a booster for performance. The most famous use of such a system cache is Apple’s own A-series chips where we’ve seen this kind of IP block used ever since the A7. Qualcomm’s introduction of such an IP block in the Snapdragon 845 was exciting to see, however this came as a double-edged sword as it had also introduced a 30% regression (In comparison to the Snapdragon 835) in DRAM memory latency, which may have limited some of the performance aspects of the A75-based CPU last year. 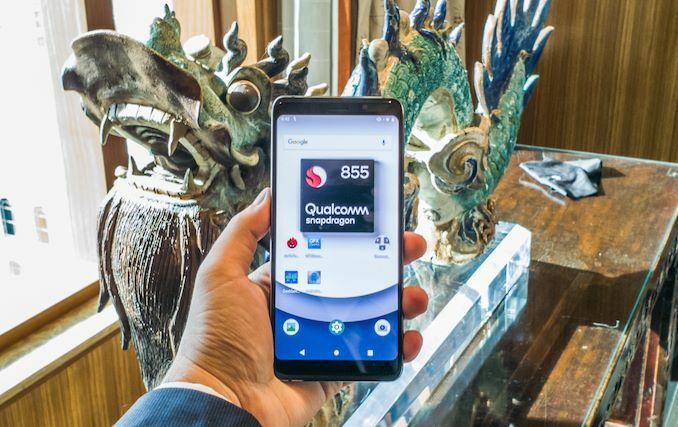 The new Snapdragon 855 unfortunately doesn’t seem to have made any major improvements in this regard as Qualcomm had confirmed that the IP block is the same as the one used in the Snapdragon 845. 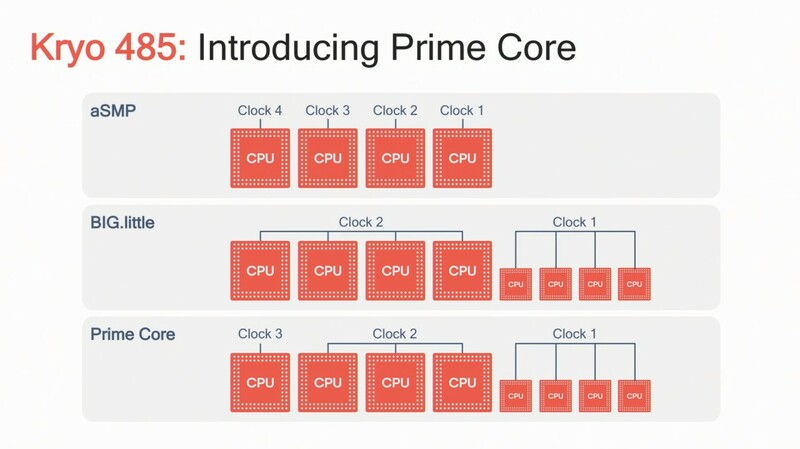 Between the Snapdragon 845 and the new 855, we now see the increased L2 cache of the Kryo 485 Prime core at 512KB, an increase over the 256KB size on the previous generation performance core. What is also visible is that the L2 latency has improved, even though both chipsets are clocked near to each other at ~2.8GHz. 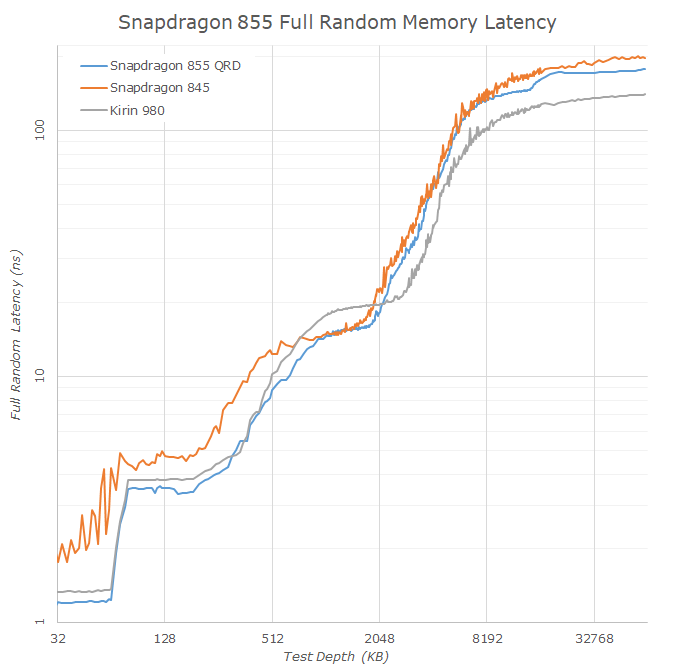 The DSU L3 cache on both the Snapdragon 845 and 855 are identical at 2MB in size: Again what’s interesting here to see is that the latency on this part of the cache hierarchy seems to be identical between both SoCs. This is in contrast to the 4MB L3 of the Kirin 980 which, albeit bigger, seems to be 20% slower. Moving onto the linear graph, here we can see the difference in DRAM latency in a clearer fashion. The Snapdragon 855 does seem to slightly improve memory latency over the 845, however this might just be an effect of the newer 2133MHz LPDDR4X memory that represents a 14% speed boost over the 1866MHz memory of last year’s devices. 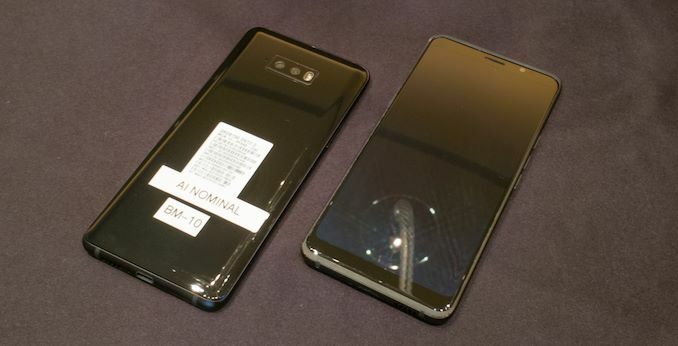 Critically though, is the comparison to the Kirin 980 which employs the same CPU microarchitecture, and the same 2133MHz memory as the Snapdragon 855. 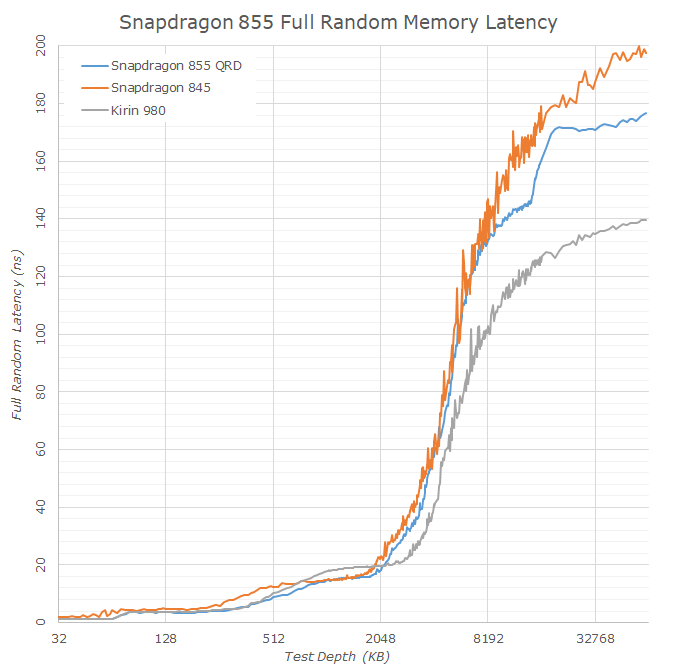 Here Qualcomm still shows a notable latency regression in memory latency over the competition, whose effects will be interesting to analyse in the following pages. So better power consumption but performance wise it looks like a swing and a miss. To be honest, this is good enough for me and most of us. I'd be happy to see Qualcomm focusing more on server CPUs and computers/notebook running Windows on AMR chips. It's been something like 15 or even 20 years since coders/developers stopped worrying about optimizations, performance improvements and now they only rely on the much improvement hardware being available year after year. We were building optimized web pages 20 years ago, that looked good and loaded in less than 10 seconds on a 5,6 KB connection. "t's been something like 15 or even 20 years since coders/developers stopped worrying about optimizations, performance improvements and now they only rely on the much improvement hardware being available year after year." Also everything your browser does now is 10,000 times more complicated than anything that browsers did 20 years ago. All of the effort that has gone into developing these technologies didn't go nowhere. You are just making false equivalencies. It's usually the case that people talking confidently about what computers were like 20 yrs ago (especially how they were faster than today...) are in the age range from not yet born to barely five years old at the relevant time. Really? What's the 'realistic' view? For background, the first computer I had regular access to was a TRS-80 Model 1 when they first came out in 1977, so I've been doing this a LONG time. Software today is a bloated mess. It's not all the programmers' fault though, there is this pressing need for more and more features in each new version - features that you're lucky if 1% of the users actually even utilize. Web pages now auto start videos on load and also link a dozen ads from sites with questionable response times. That would have been unthinkable in the days 56k and slower dialup, and it just wasn't done. I even optimized my BBS in college - on campus we had (for the time) blazing fast 19.2k connections between all dorm rooms and the computing center, at a time when most people were lucky to have a 1200bps modem, and the really lucky ones had the new 2400s. So I set up my animated ANSI graphic signons in a way that on campus users at 19.2k would get the full experience and off campus users, connecting via the bank of 1200 baud modems we had, would get a simple plain text login. In today's world, there is a much grater speed disparity in internet connections. I have no problem with pretty much any site - but I have over 250mbps download on my home connection. Go visit family across the state - the best they can get a a DSL connection that nets about 500k on a good day on a speed test - and so many sites fail to load, or only ever partially load. But there are plenty of sites that don;t try to force graphics and videos down your throat that still work fine.